Ready to start the IBP Program? Congratulations, you’ve made a commitment that will help advance your career and play a part in bringing professional excellence to the investment banking industry. Candidates who attain the IBP Credential have demonstrated mastery over a comprehensive body of knowledge that is predictive of success on the job. In 2017, the IBP Program was privately administered for 8 investment banks to assess new hires. Attaining the IBP is a challenging process, requiring over 200 hours of study. Candidates pursuing the IBP credential are demonstrating dedication, focus and a commitment to finance. 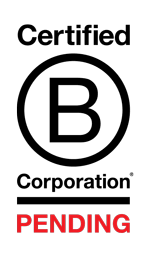 To that end, the IBP Institute actively works with employers to promote the recognition of the IBP credential as well as support our candidates throughout the recruiting process. The IBP Career Center (IBPCC) is the central resource for candidates pursuing a career in investment banking. Upon passing the IBP Exam, candidates will be granted access to all services offered by the IBPCC for no additional fee. Career Center services are outlined below. 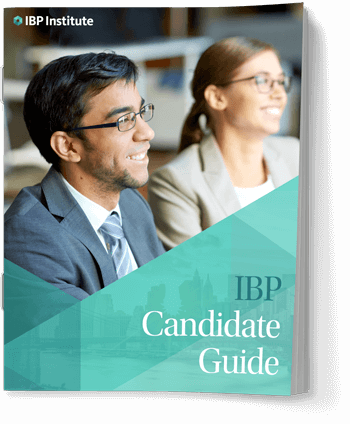 "The IBP Credential enables candidates to clearly stand out, giving them a sizable advantage in not only recruiting, but also in the workplace. Graduates enter with a solid understanding of the technicals and fundamentals in addition to greater perspective on the day-to-day practicalities of investment banking. What potential employer wouldn't put a premium on that?" Unlike resume help at a university career center, the IBPCC offers candidates a comprehensive resume review from a professional with actual investment banking experience. This includes an extensive review of each bullet point as well as formatting the resume to ensure it is up to industry standards. With over thousands of resumes reviewed by our team, the IBP Institute can ensure your CV is tailored specifically for investment banking applications. 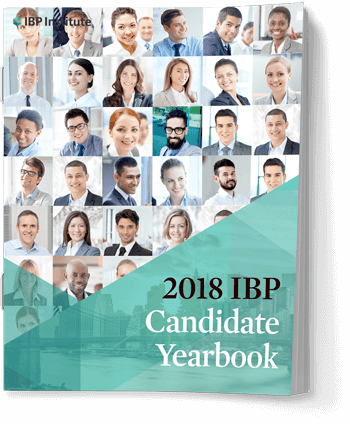 The IBP Yearbook is distributed by the IBP Institute to recruiters and hiring managers at all major investment banks. The IBP Institute works to ensure that investment banks continue to recognize the benefits of hiring IBPs. Note: Candidates who successfully pass the IBP Exam are included in the Yearbook in a Candidates section. The IBPCC assigns each candidate a dedicated mentor to help prepare for the competitive investment banking recruiting process. Each mentor works for a top investment bank and has been vetted by our team of industry insiders. The IBP candidate has the option to use their time (a full hour) with the mentor for career counseling and/or for a realistic mock interview.